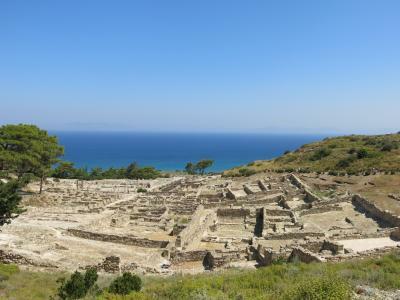 Ancient Kamiros On the north-western shore of Rhodes, close To the promontory of Agios Minas (the Ancient Mylantio) lies the third of The island's ancient cities - Kamiros. "Flight in a Zenair CH-701 Microlight from Flyers Bar in Pefkos, Rhodes, Greece. Aerial views of Pefkos, Lindos, Lardos, Glystra Beach and Kiotari."